Get a wealth of programing versatility in a portable 1x10 combo. 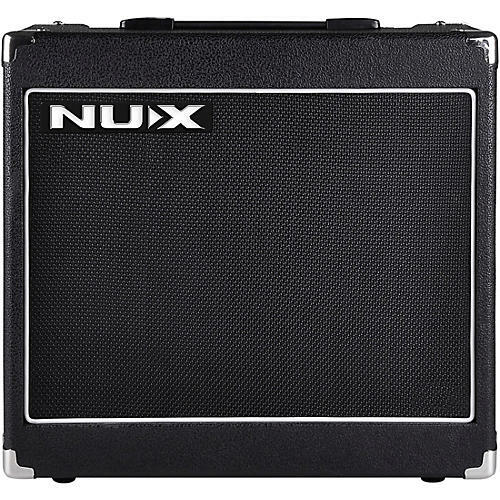 The Nux Mighty 30SE 30W 1x10 guitar combo amp is the new generation of NUX programmable amplifier. Thanks to the original TS/AC Technology, the tone of Mighty 30SE is full of dynamics, and touch responsive. You can save up to 16 presets. You can connect the Mighty 30SE to computer via its USB jack for system update and tone editing. With the optional MP-1 footswitch pedal, you can switch presets, boost volume for solo, switch effects/delay/reverb and tap tempo. You can go to your next gig with only a guitar and the Mighty 30SE! USB port for system update and tone editing.